What are you stitching on these days? Previous Post Siren and The Shipwreck All Framed Up! Next Post So Much Stitching in My Head! Thank you, Marsha. 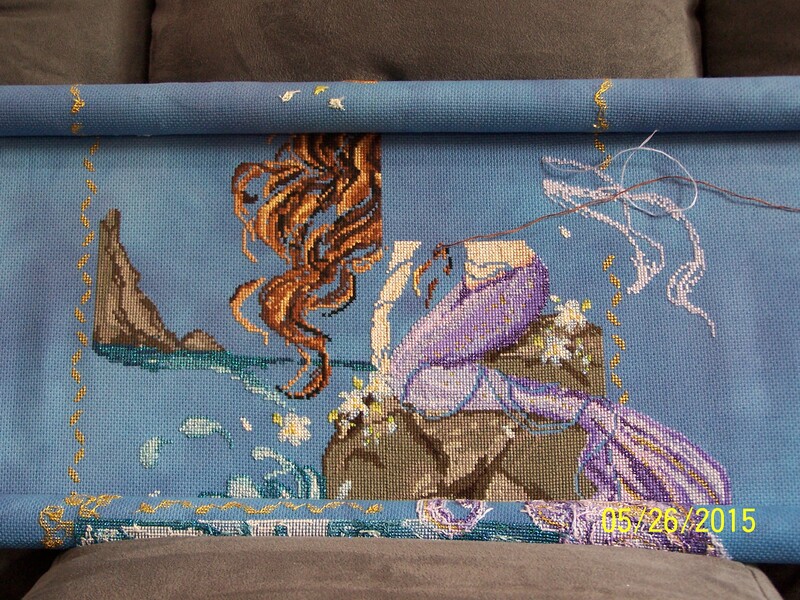 I picked her up last night and started stitching on the last section. I can’t wait to finish her. She has a very sweet face. Just wait and see 😉 Hoping to get my zip back soon, and hoping you do too! 6 weeks is still a very short time in the scheme of things! And I too am looking at getting away from the dark blues in my fabric – it just makes some parts a chore to stitch. It really is a short time, Paula. I never knew that the dark blue would be somewhat difficult to stitch on, but I am finding that out 😉 This piece will look nice on the blue, though. Last section! I am so excited! I brought a Navy, deep deep Navy, linen the other month. It’s sitting in my stash pile as I think it’s a beautiful hue but I think it would be a better summer WIP. 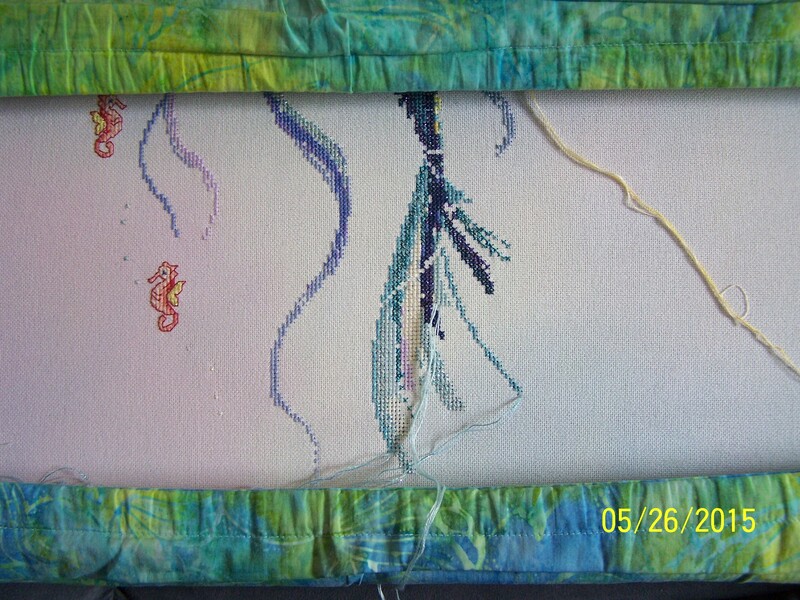 Paula, I can’t imagine stitching on another shade of blue similar to what I am working on or darker. It definitely messes with my eyes. Maybe outside in the bright sun would work. OMG, am I sad that I didn’t get this mystery mermaid. I wasn’t very excited about the last one, but this is a beauty. Sigh. I guess I can hope that someday Laura will release the chart. Thanks Angela. I am working on the last section now. Hopefully not too long before she is finished. But then there is all the beautiful beadwork to add. It will be amazing!